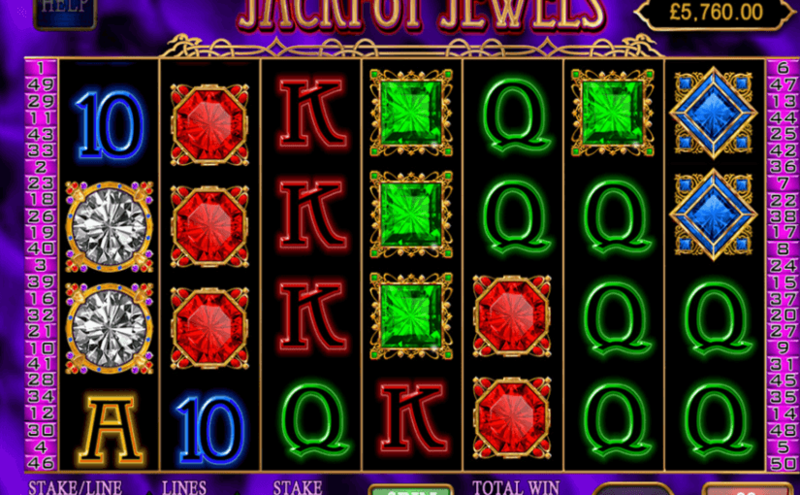 Jackpot Jewels is a beautiful video slot with 7 reels, 4 rows and a possibility to keep either 25 or 50 paylines active. It is a game with bright colours and jewels in many shapes, sizes, and colours, making everything pop. Symbols that you can find in Jackpot Jewels are of course the different types of them, such as sapphires, rubies, emeralds and more. The symbol of the two majestic birds surrounded by glistening diamonds is the one to keep a lookout for though, this is the Wild symbol and it will help you get those big wins. You also get to enjoy bonus rounds with free spins, a special feature called “Hi Roller” and a generally great gameplay.